The University of Wisconsin-Madison (UW-M) yesterday morning had its Twitter account (@UWMadison) hacked by an unauthorized user. 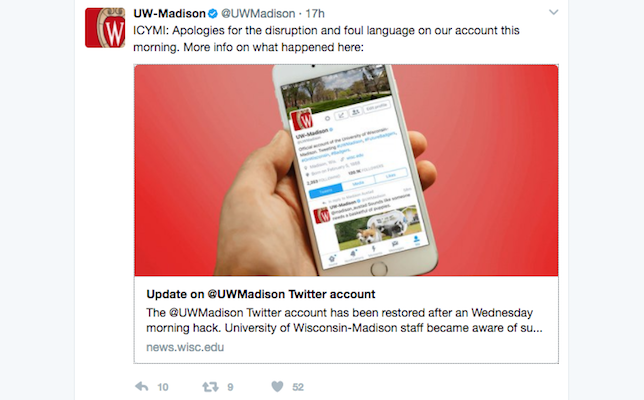 The account, which has about 160,000 followers, published four tweets before UW-M staff became aware of the breach. The tweets, which included profane language, have been removed and account "has been fully restored." UW-M reminded students to use strong passwords, two-factor authentication, and other security tips for Twitter.